PITTSBURGH (AP) — Mister Rogers cared deeply about his neighbors and his neighborhood, both in the Neighborhood of Make-Believe and in real life. David Newell, who played Mr. McFeely on "Mister Rogers' Neighborhood," said volunteering meant a lot to Rogers. As a boy, Rogers volunteered at his hometown hospital in Latrobe, Pa., rolling bandages for soldiers during WWII. And, Newell said, public television, where Rogers' series began, relies on volunteers. The idea for the Won't You Be My Neighbor? Day grew out of Sweater Day, which Family Communications Inc. of Pittsburgh has promoted over the past several years to honor Rogers. Rogers created the company to produce his show and other family friendly educational fare. Of course, people still are encouraged to wear sweaters in Rogers' honor. "The sweater is the touchstone to Fred," Newell said. The volunteer day is beginning this year in partnership with the United Way of Allegheny County, the county in which Pittsburgh is located and where the show was made. "We're trying to establish this as a national event, but you've got to start small," Newell said. "It's really what Fred would want to happen. He wanted to help others." Suggested volunteer ideas are simple acts, such as lending an ear to someone, offering to return a shopping cart or volunteering at a senior center. Around Pittsburgh, various museums and other institutions are offering free or reduced admissions to mark the day. While there always are opportunities to volunteer, a dedicated day helps reinvigorate volunteerism, said Tracey Reed Armant, manager of community outcomes for United Way of Allegheny County. 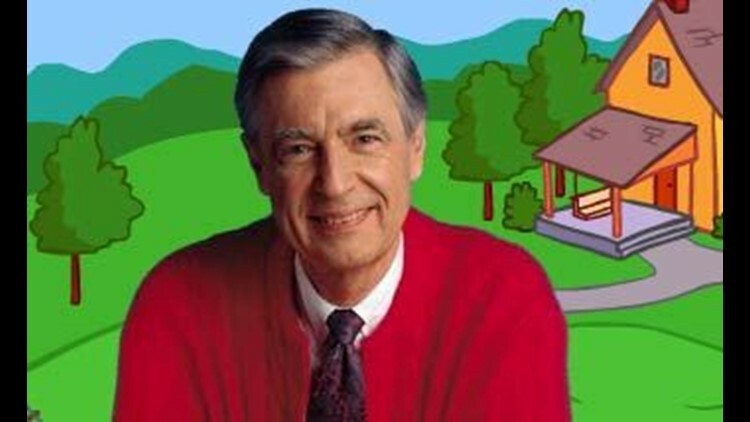 The United Way also sees Won't You Be My Neighbor? Day as a way of recognizing people who volunteer. Rogers' legacy also extends beyond cardigans and kindness: He's recognized as a pioneer in children's' educational television, and that work is still being carried on. "I think that the really important thing about Fred Rogers is he took the cutting edge technology of his day, television, and he applied to it this wonderful philosophy and this strong set of wonderful educational values and created something that reached million of families all over the world and uplifted their lives," said Maxwell King, executive director of the Fred Rogers Center for Early Learning and Children's Media at St. Vincent College in Latrobe. On Monday and Tuesday, the center is hosting the inaugural Fred Forward Conference, which will look at how emerging technologies and new media can be used in developmentally appropriate and educational ways for children. "Now, there is so much technology and people are struggling to figure how to use it to uplift children," King said. "And Fred is a wonderful, powerful example that this can be done." While the day will come when children don't know who Mister Rogers was, King said the important thing is "that they understand and benefit from Fred's values and Fred's approach."